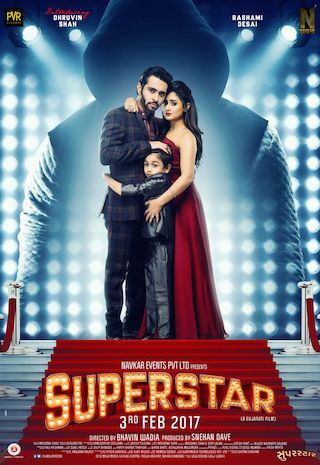 Superstar, is a 2017 Gujarati romantic thriller film directed by Bhavin Wadia. It is presented by Navkar Events Private Limited and produced by Snehan Dave. The film marks the debut of Dhruvin Shah and is the first Gujarati film of TV actor Rashami Desai. The film is slated to release on 3 February 2017. Read more on Wikipedia.